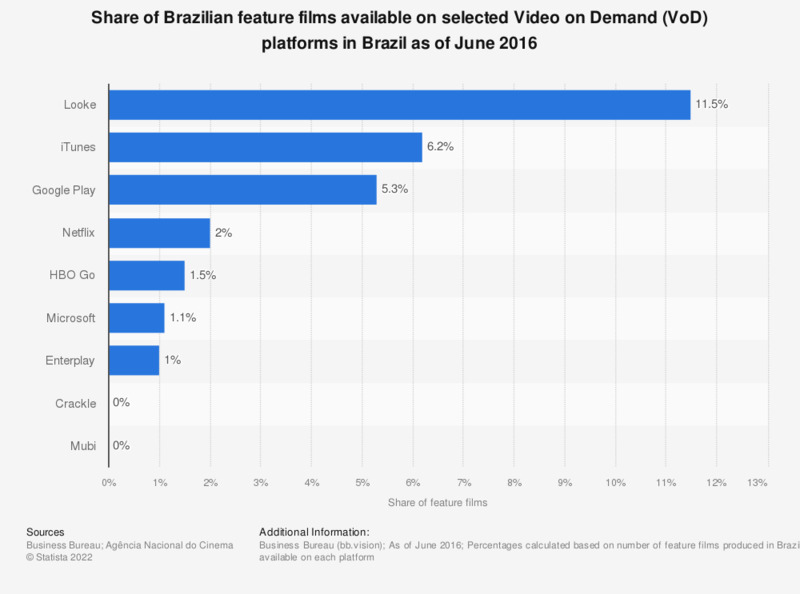 The statistic depicts the share of feature films available on selected Video on Demand (VoD) platforms that were produced in Brazil as of June 2016. It was found that 11.5 percent of movies available on the VoD platform Looke were Brazilian productions, while the share of Brazilian feature films on Netflix stood at only two percent. The percentage of Brazilian series on Netflix was estimated at 0.8 percent.